It’s Spring, and so the thoughts of freelance journalists old and new turn to the Freelance Forum. What do you, mean you haven’t thought about it yet? The Forum is a one-day event, now held twice yearly, providing freelance journalists (and aspiring student journalists) with information to better do their jobs. Brought to you by Dublin Freelance NUJ branch, it is a highly regarded event, and now in its… somethingth year. We can’t remember exactly. 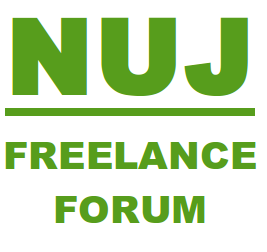 So whether you’re and old school hack or student journalist, you owe it to yourself to check out Freelance Forum. Mark the date in your calendar: Monday 7 April. Don’t forget to reserve your place early. Come hear Commissioning editors Liam Collins (Sunday Independent), Aiden Corkery (Mail on Sunday) and Aine Toner (Woman’s Way) talk about pitching skills and what they’re looking for. Hear Sue Leonard and Abigail Rieley on bookwriting and ghostwriting. Lenny Antonelli on breaking into broadcasting. And as an additional treat Malachy Browne (Storyful) and Sinead van Kampen (PRSlides.com) on new media. So what are you waiting for? Get over to the Dublin Freelance website and book your place now.